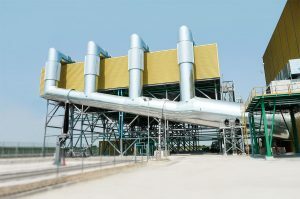 Introduce novel hybrid dry/wet cooling technology to increase the net annual power output of CSP plants by up to 2% and reduce the water consumed for cooling by 75 to 95% relative to wet only cooling systems, while not increasing the capital cost above the level required by current cooling technologies. Reduce the auxiliary power consumption of the cooling system by improving fan static efficiencies from currently 55 and 60% to 65 to 70%. 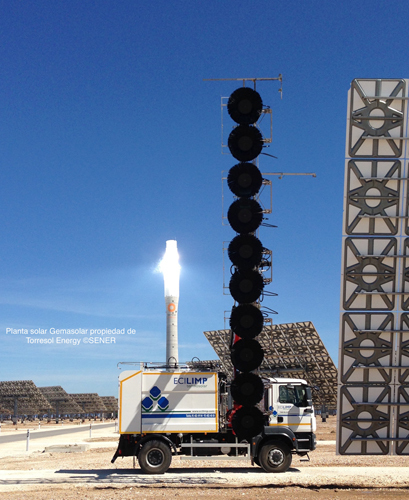 Reduce water consumption during mirror cleaning by 25% by introducing improved mirror cleaning processes for large-scale CSP plants using parabolic trough collectors and heliostats and for small-scale CSP plants using linear Fresnel collectors. Develop comprehensive water management plans for CSP plants in various locations. This will make the location of CSP plants less dependent on the availability of high quality water sources thereby increasing the flexibility to locate them at sites with maximum solar radiation.